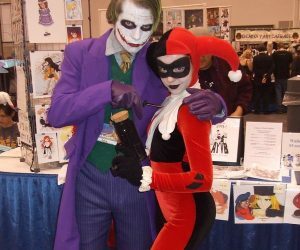 Can’t make it to the coast this summer? Don’t worry. 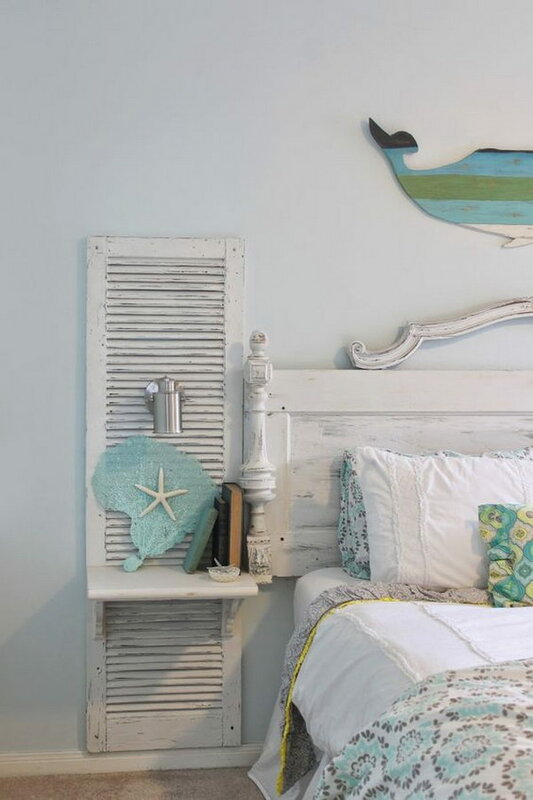 Whether you are a surfer, a sailor or just a landlocked person craving for the peace and serenity of the deep; here is an impressive collection of nautical home decoration ideas that will give you the feel of being on holiday even when you are just sitting at your desk staring at a computer. 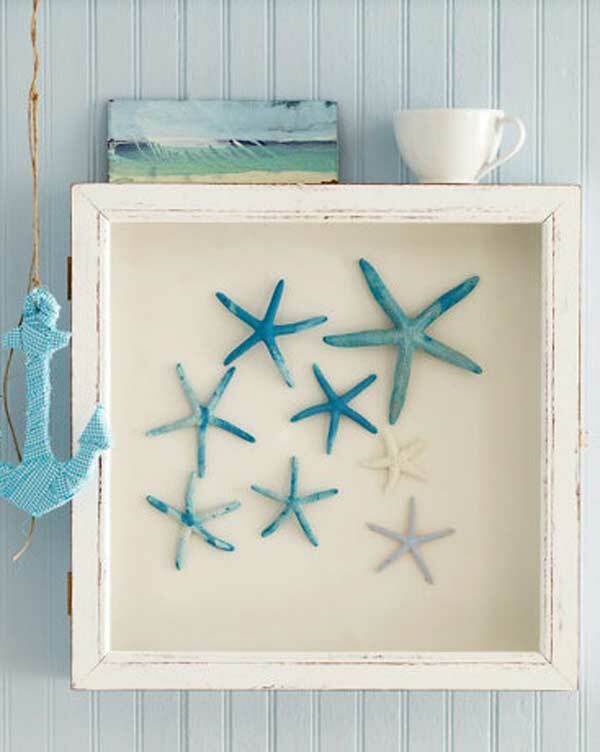 From nautical baby shower decorations to beach inspired nautical centerpieces, this collection of nautical home decor ideas is bound to bring the ocean along with its fun, right to your doorstep. 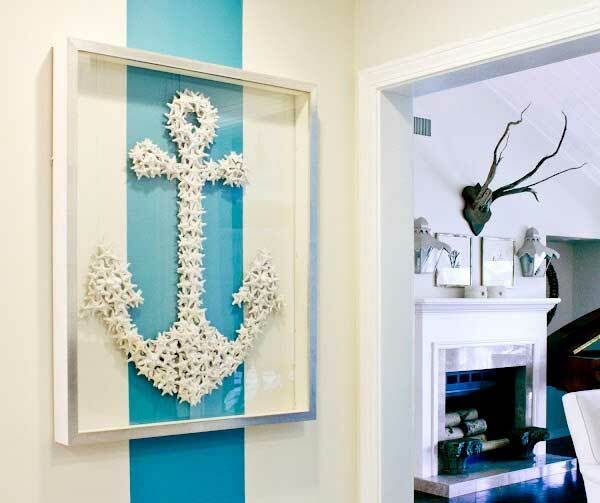 Before you jump onto your yacht and sail into the sunset, there are a couple of factors to consider when establishing a nautical theme. 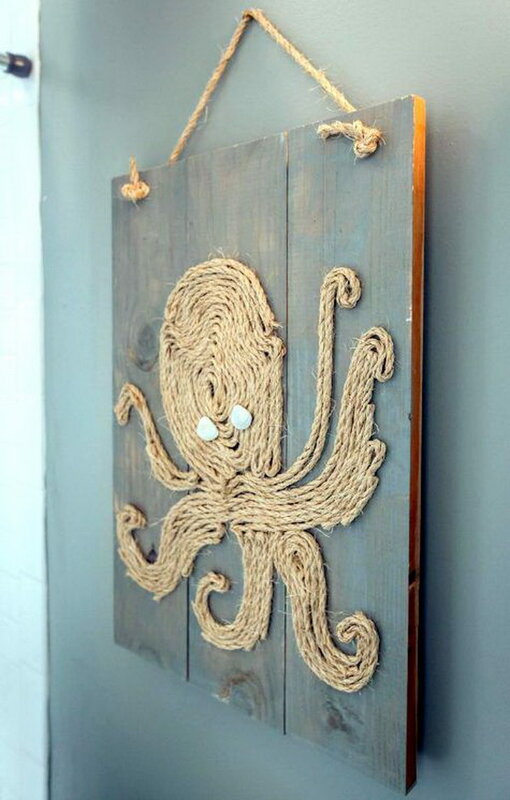 Needless to say, when it comes to nautical decorations, a little always goes a long way. 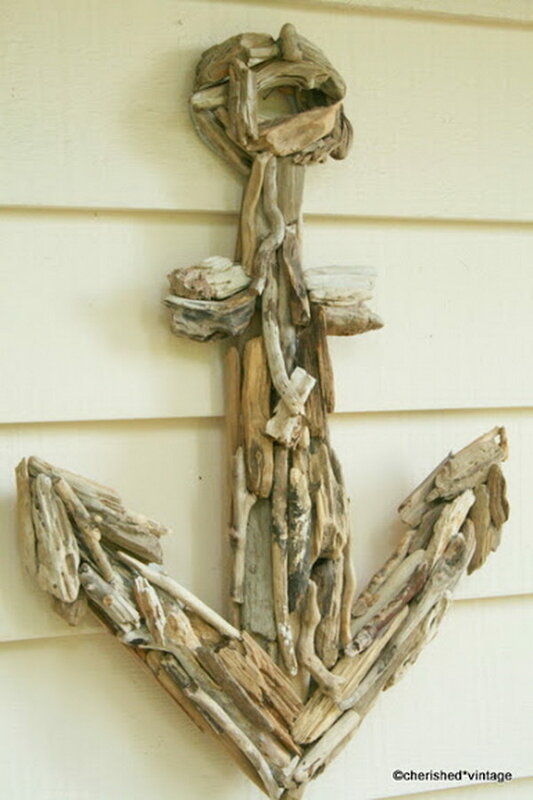 Besides, nautical decor is much more apparent compared to the American classic or Minimalist style. 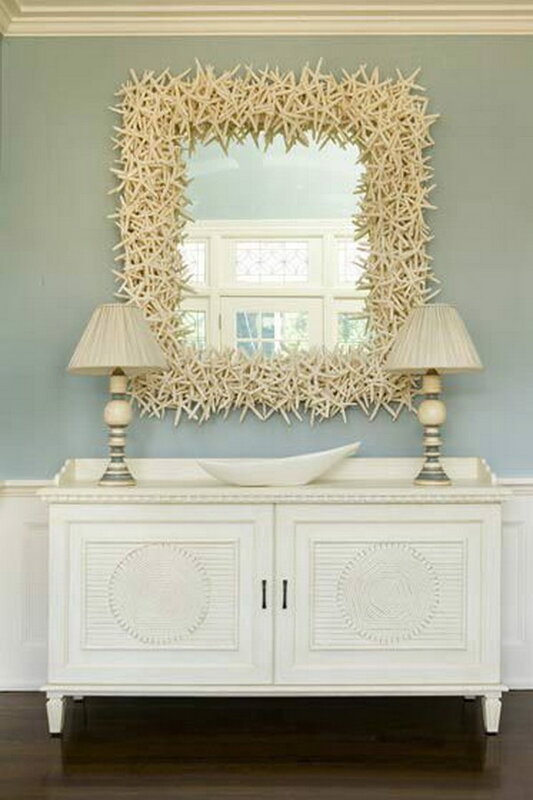 Still, you can make a bold statement in any room by displaying large nautical decor pieces that convey a sense of nostalgia. 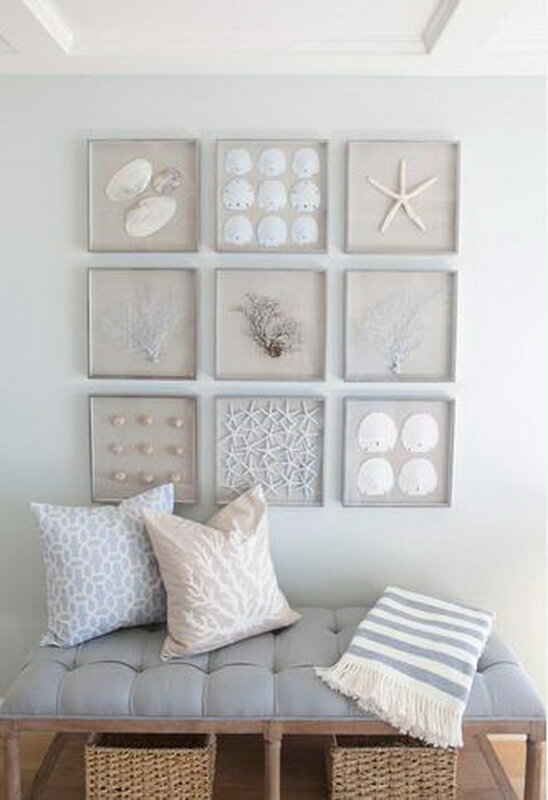 For example, large antique anchors or diver helmets may lend a sense of wanderlust to your decor. 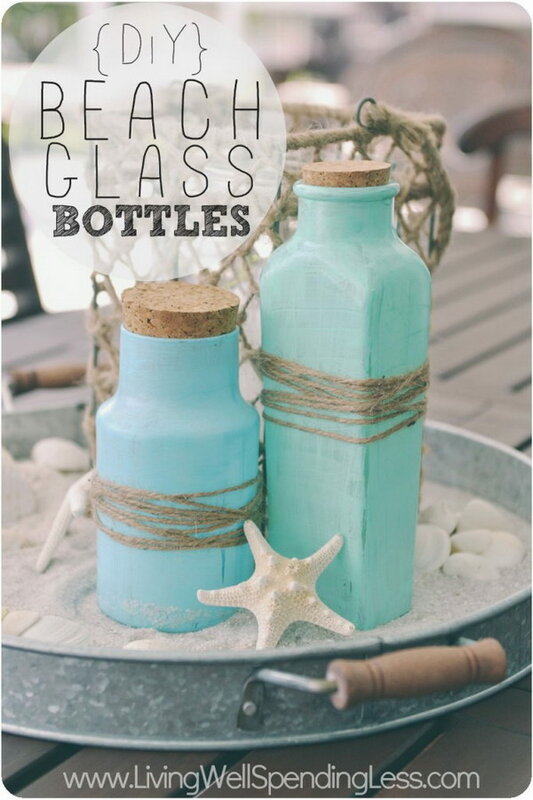 On the same vein, you can also add color and history to your nautical decor with glass buoys. 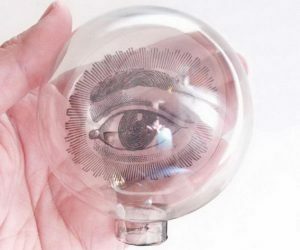 Best of all, these vibrant glass spheres are available in all shapes and sizes. But where exactly do you find high-quality antiques to keep your house from looking like a museum? No, you don’t have to raid a ship; you just have to search online, check out some garage sales or shop through some flea markets. 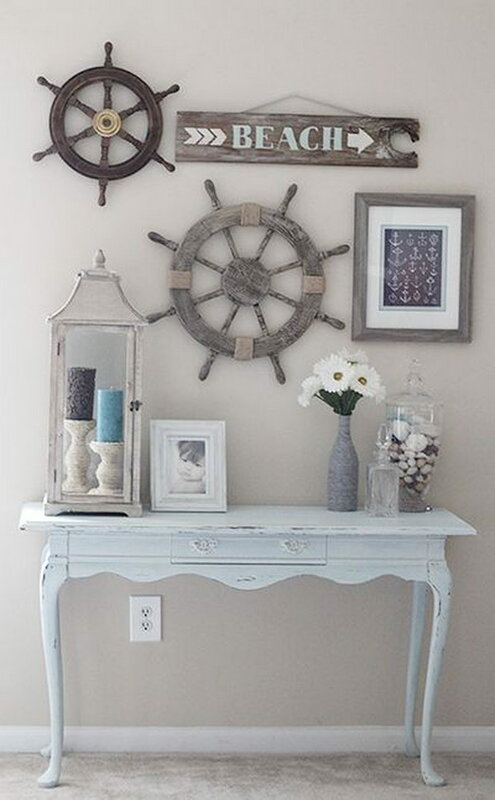 Just think about it, ship wheels with the inner part removed can make an excellent frame for a picture. 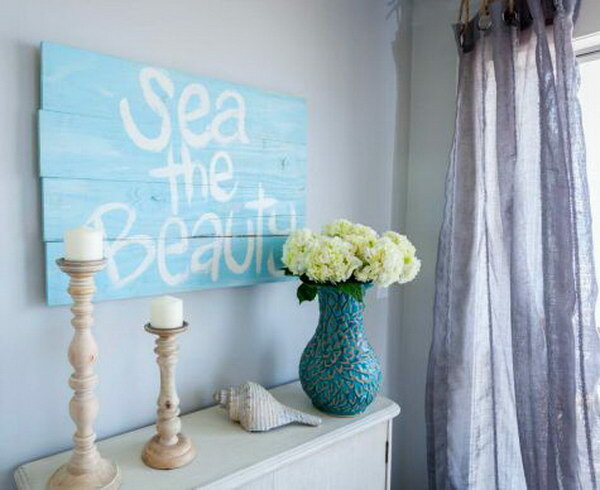 Of course, bringing the seaside to your home goes far beyond just scouring your local antique stores for ship helms and using reclaimed wood, you also need to infuse your home with subtle scents which mimic the ocean and bring the sea closer to you. 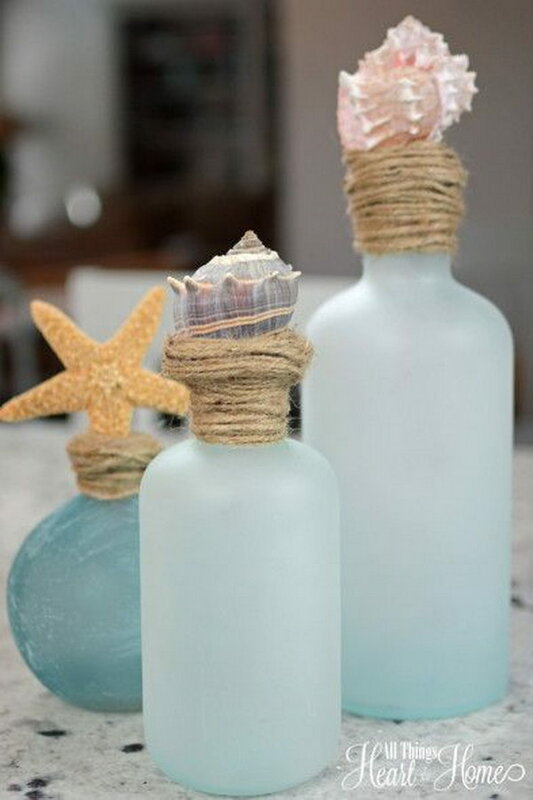 Hints of lime, coconut, salt or other ocean scents will encourage you to take deeper breaths, instantly creating a relaxing atmosphere. 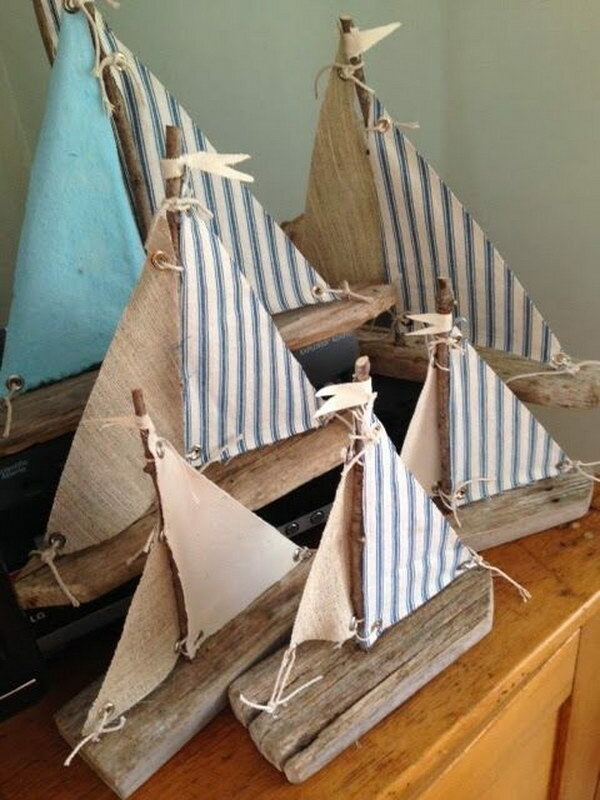 To start you off here is a collection of DIY ideas and tutorials for nautical home decorations. Get inspired. 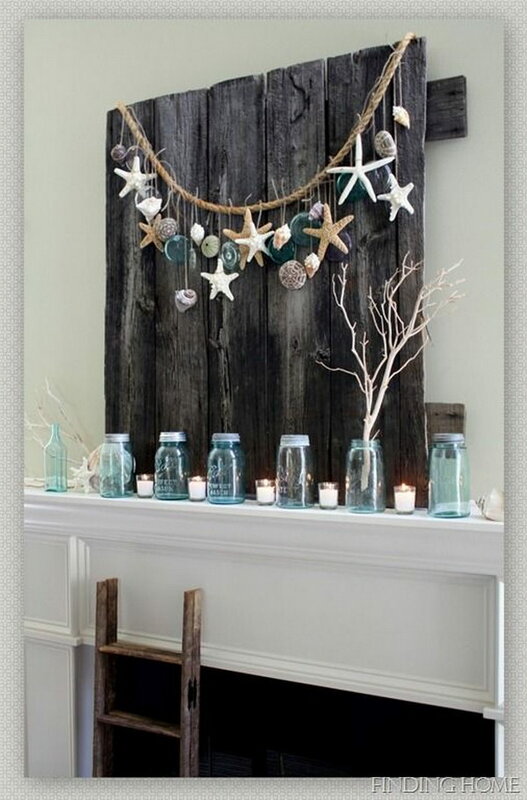 Love this idea with regular lanterns used (and made over) to display beach finds. Via boxerscleatsandme. 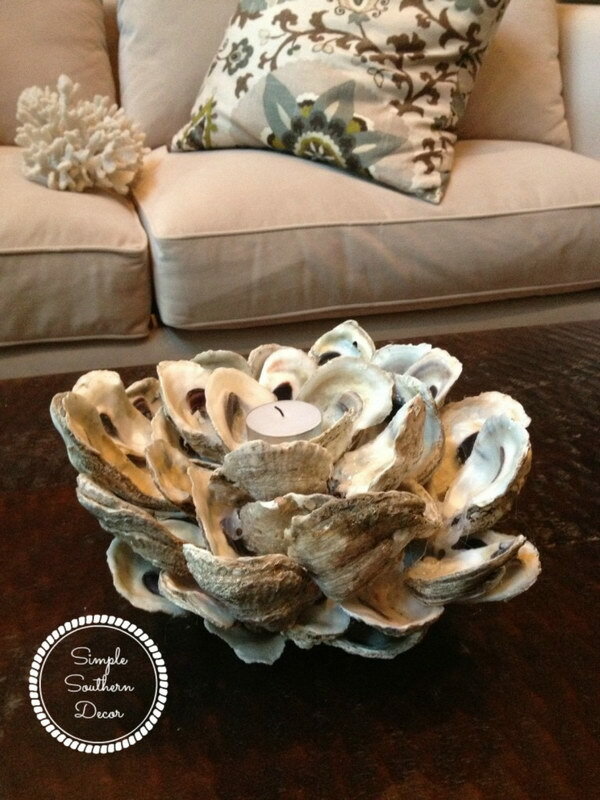 Learn how to make a seashell planter in a few easy steps and get a coastal or nautical look for your home. Get the tutorial via billabong. 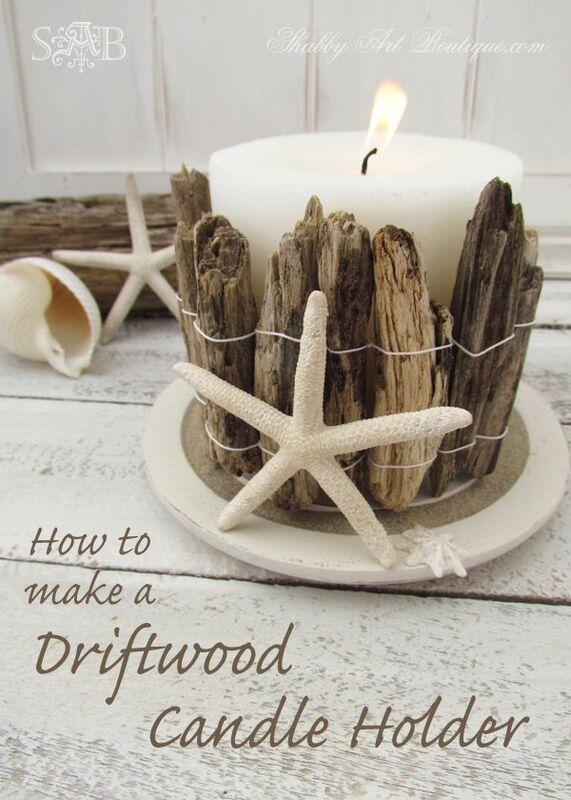 Add a nautical touch to your home with this simple driftwood candle holder. Get the tutorial via livecreativelyinspired. 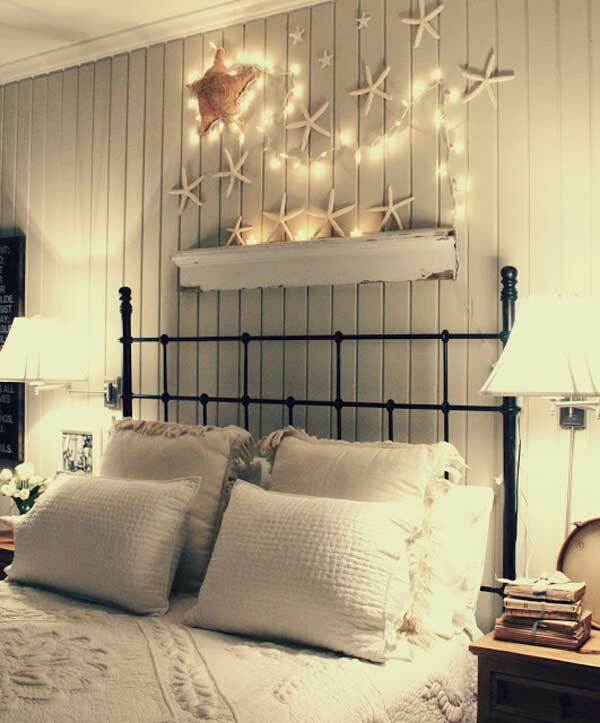 Hang beautiful shelf, starfish and string lights for beach theme decoration. Via beachblissliving. 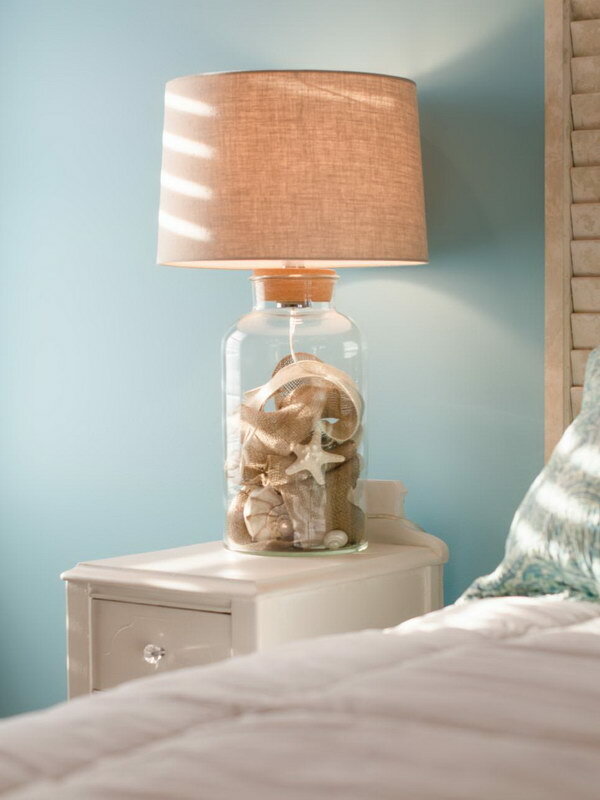 Keepsake lamps that flank the bed are filled with site-sourced sand and shells, plus four-inch-wide burlap ribbon that echoes the design of bathroom walls. 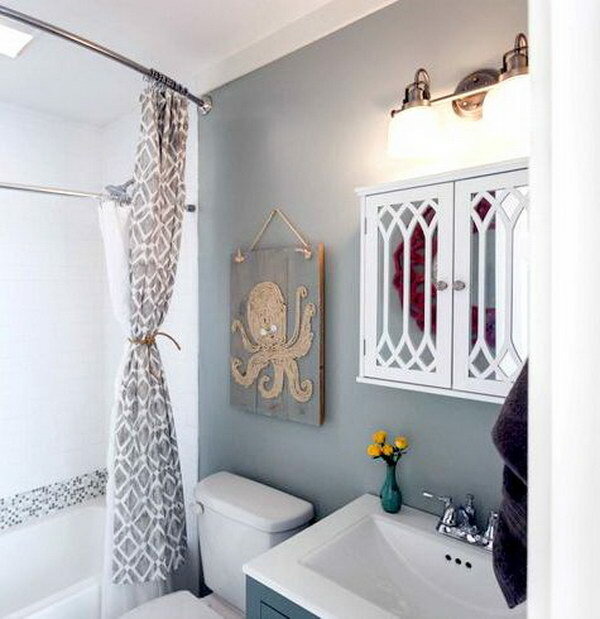 Via diynetwork. 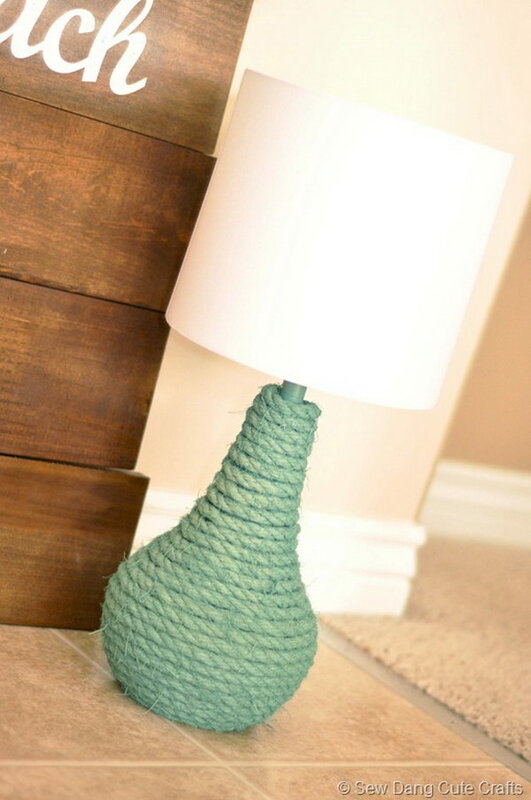 Get the tutorial via sustainmycrafthabit. 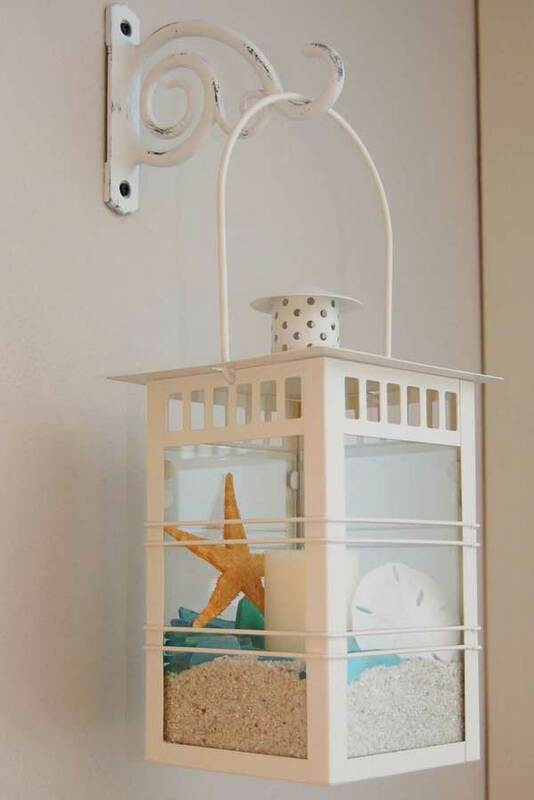 What a great idea for a beach house or beach themed design! 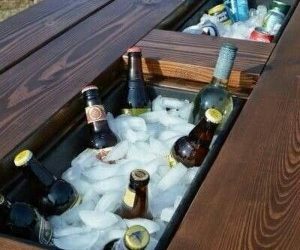 Inexpensive and durable, too! Get the tutorial via h2obungalow. 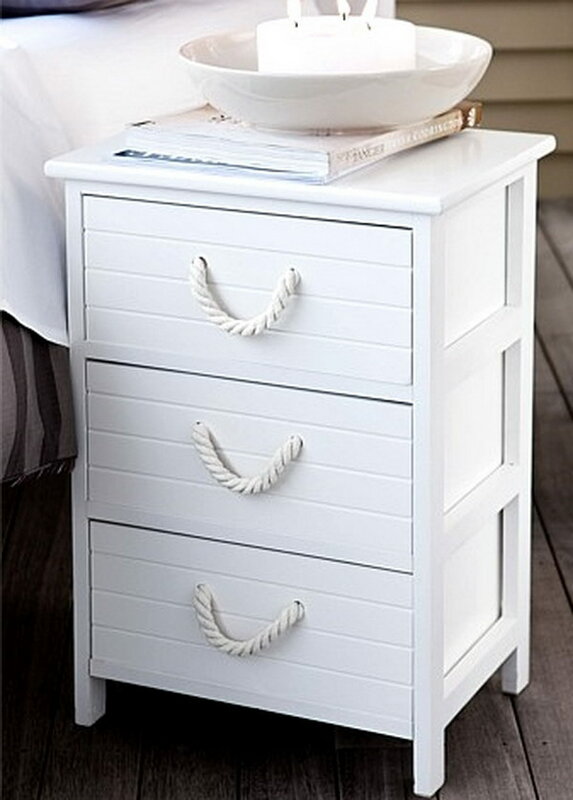 Attach Thick Rope Handles in white for a sophisticated cottage look. Get the tutorial via theraggedwren. 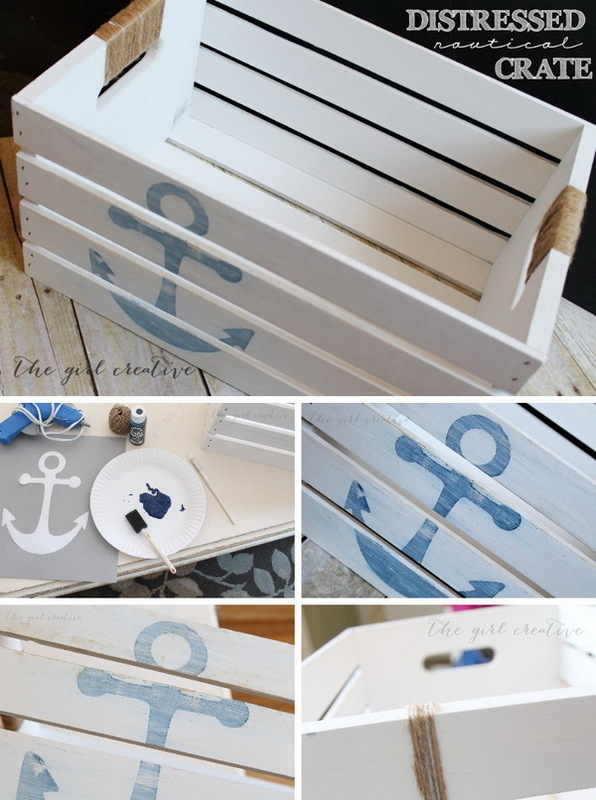 Get the tutorial via restorationhouseblog. Get the tutorial via poindextr. 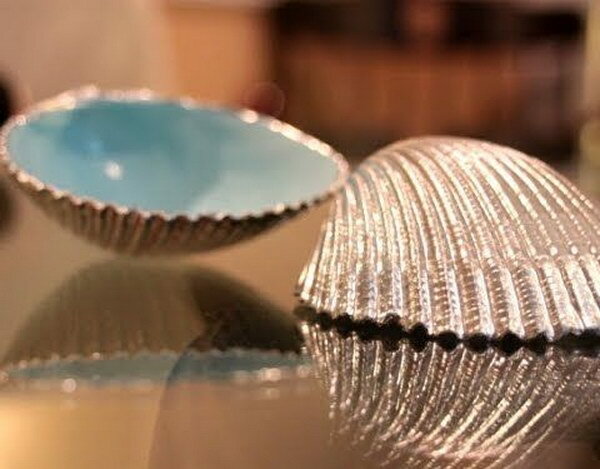 Seashell paint makeover; spray paint inside of shells high gloss baby blue and paint outside with gold or silver paint! Stunning! Get the tutorial via colormecrystal. Get the tutorial via findinghomefarms. 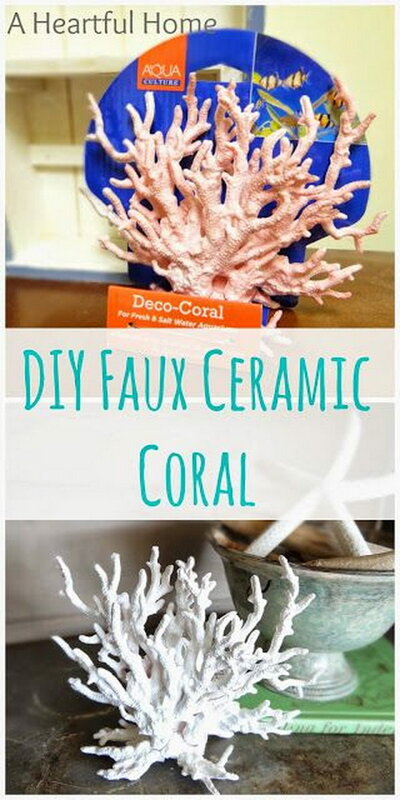 Get the tutorial via diyshowoff. Get the tutorial via coolcreativity. 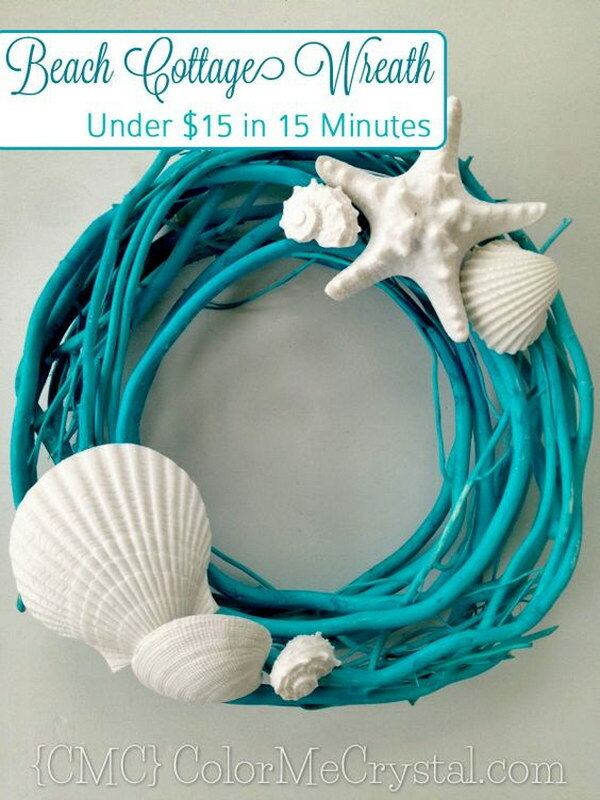 Get the tutorial via craftberrybush. 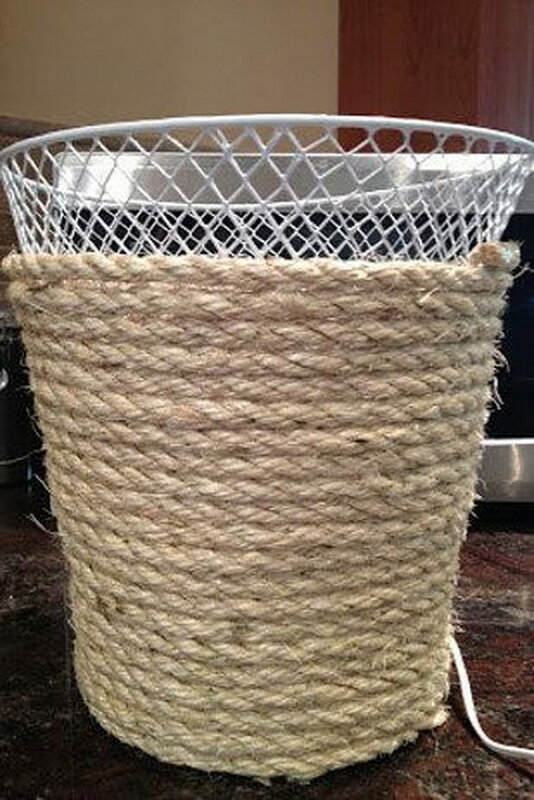 Follow this easy tutorial on how to take some cotton rope and a dollar store basket and makes it into stylish storage for your nautical home. 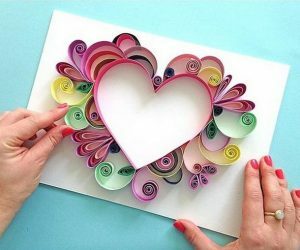 Get the tutorial via iheartorganizing. Get the tutorial via twoityourself. 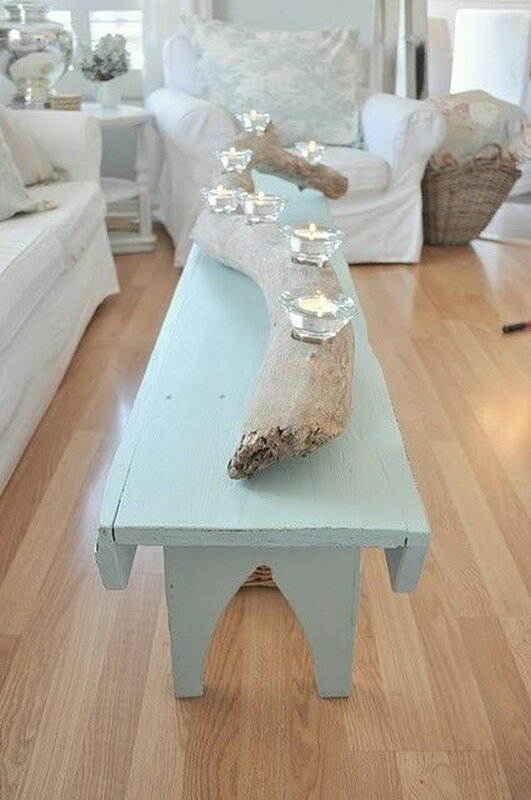 How beautiful is this wooden spool makeover using paint and rope – to be used as a nautical home table. Get the tutorial via simplestylings. Via etsy. 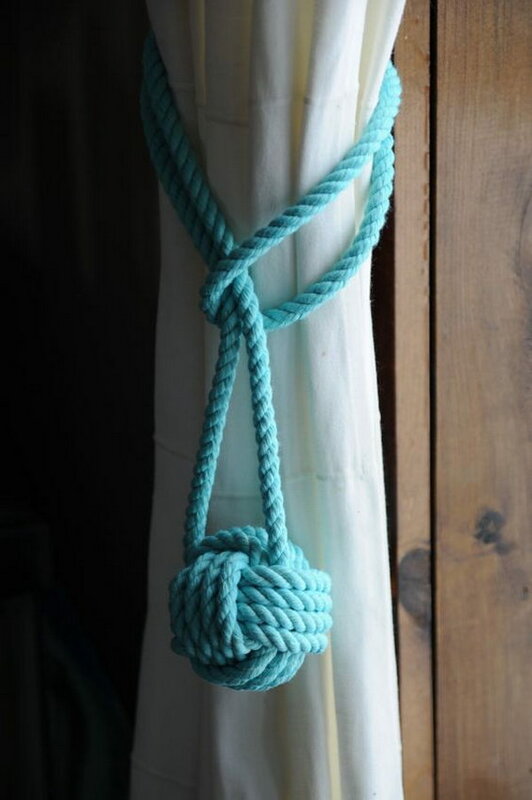 See how to make a monkey knot via monsterscircus. 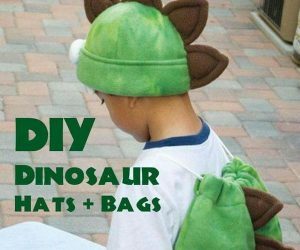 Get the tutorial via sewdangcutecrafts. Get the tutorial via beeskneesbungalow. 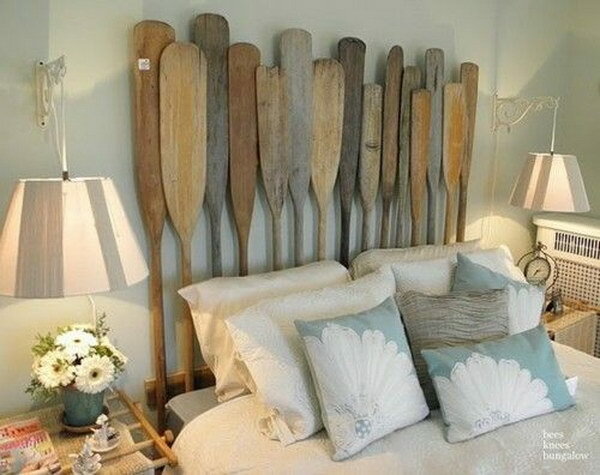 Old rowing oars can be painted and hooks added for whimsical beach coat hangers for your entryway or man cave. Via cynthiaweber. 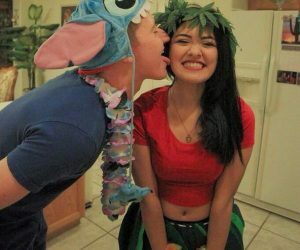 Get the tutorial via natashalh. 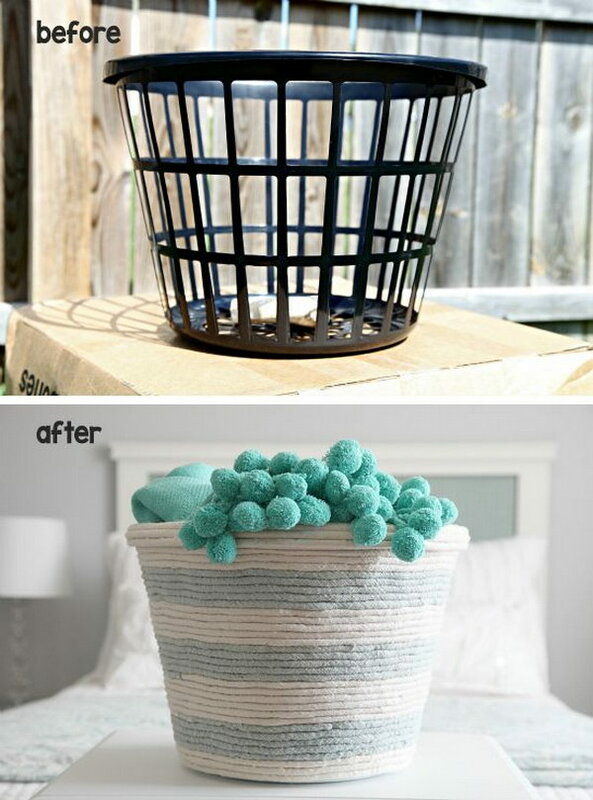 Get the tutorial via downhomeinspiration. 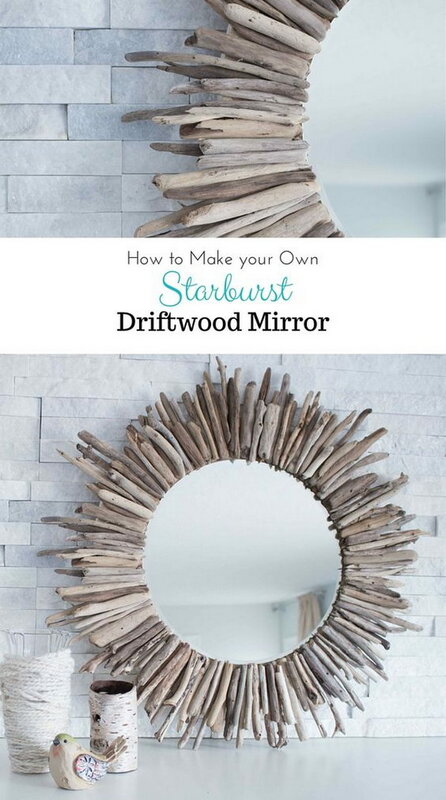 Get the tutorial via myfirstapartment. 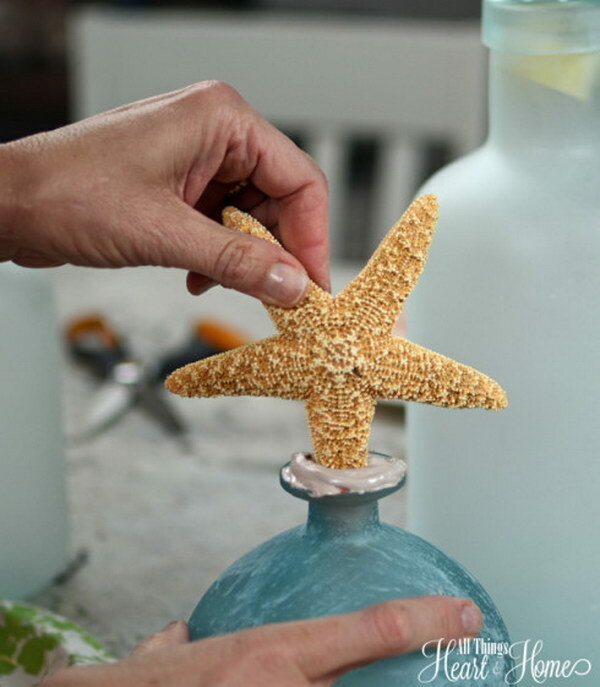 Get the tutorial via refreshrestyle. 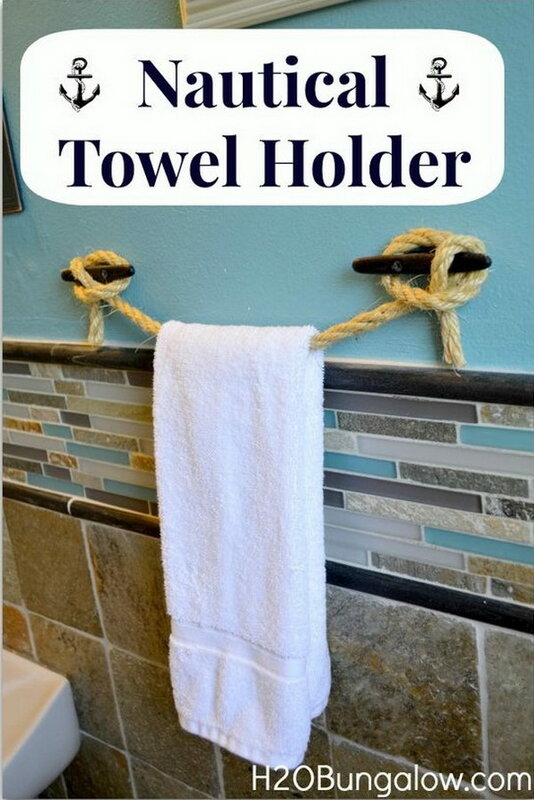 Get the tutorial via livingwellspendingless. 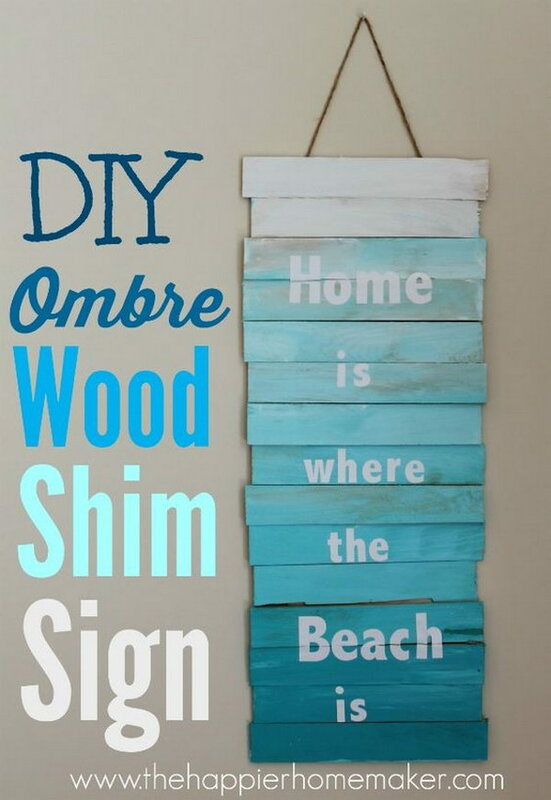 Get the tutorial via cameocottagedesigns. 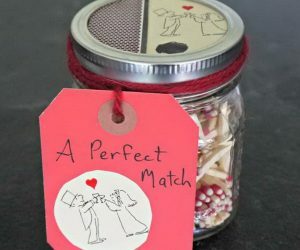 Get the tutorial via craftsbyamanda. Get the tutorial via sandandsisal. 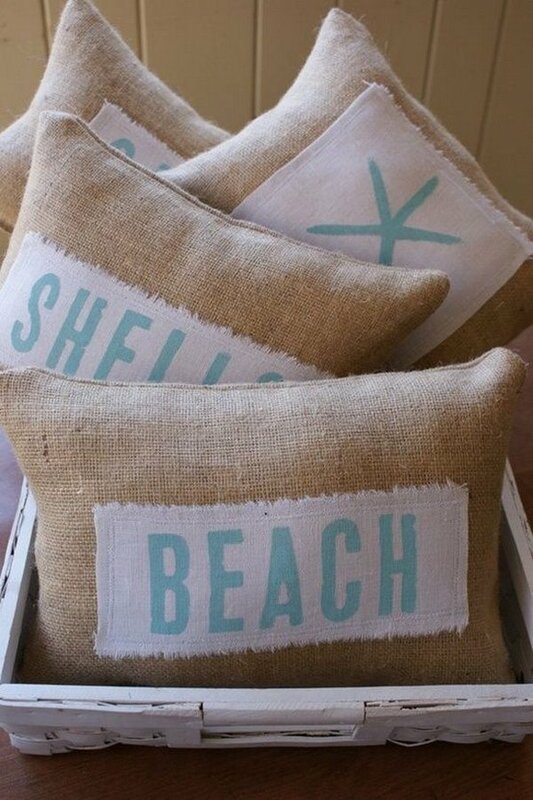 Cover your pillows in burlap, and add a little color pop with a center piece. Tutorial via domestically-speaking. 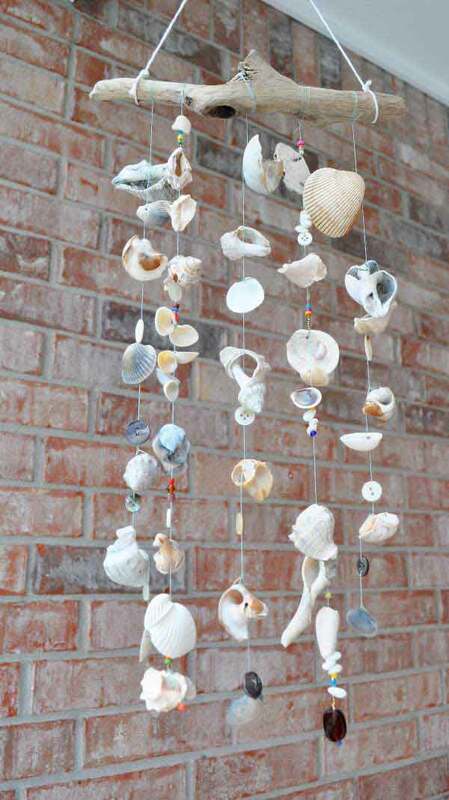 Get the tutorial via remodelaholic. 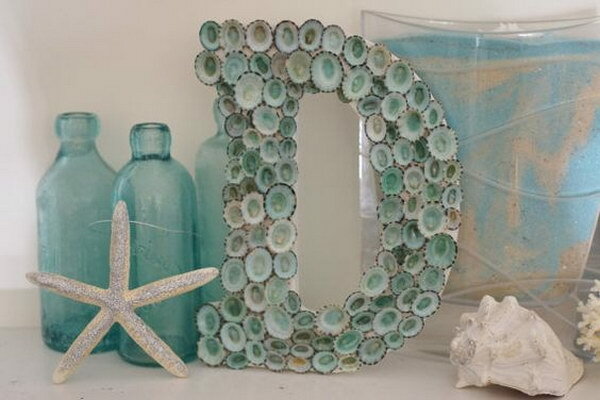 Get the tutorial via simplenaturedecorblog. 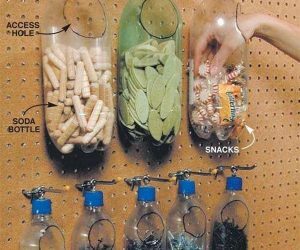 Get the tutorial via trash2treasure. 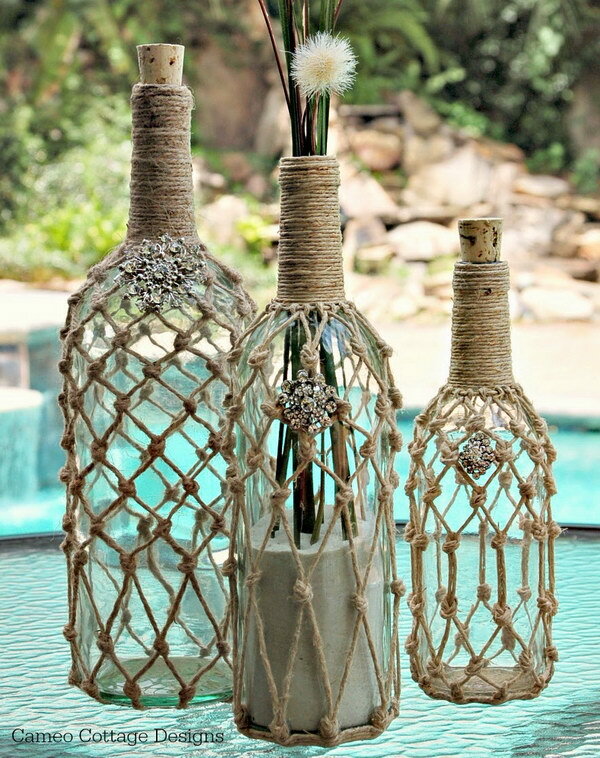 Turn a boring old side table into something beautiful and seemingly expensive with a package of glass gems or stones at the Dollar Store. 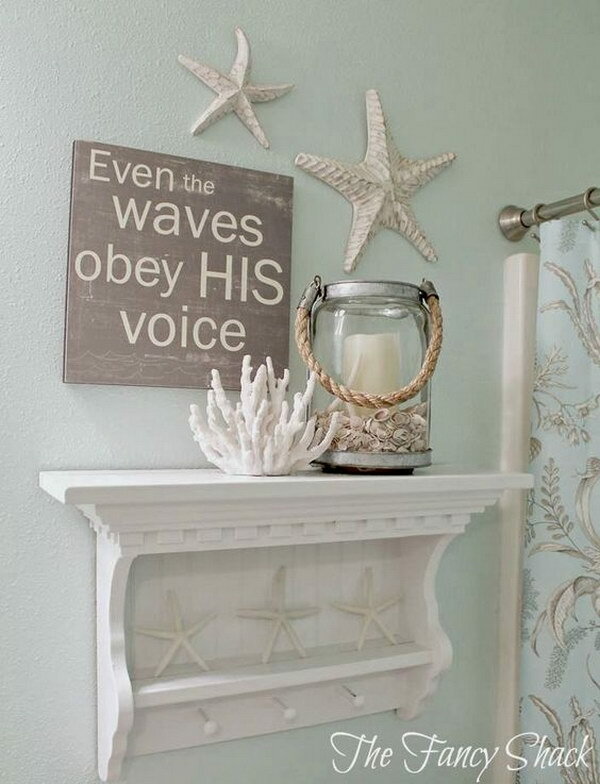 It’s also perfect for the beach home decor. source. 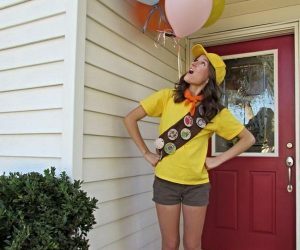 Get the tutorial via cherishedvintage.